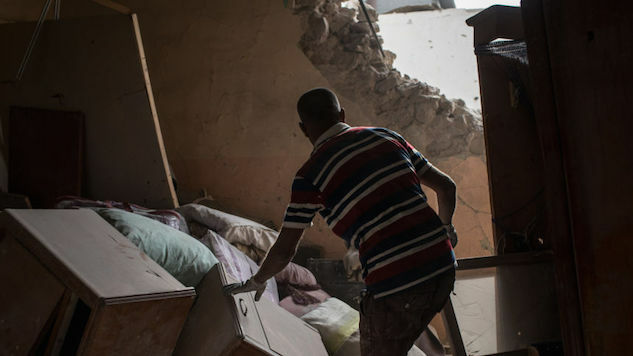 An Associated Press investigation revealed that civilian casualties in a US-led attack on the Iraqi city of Mosul were far worse than initially thought. This past year, Iraqi coalition forces, backed by the United States, attacked Mosul in an attempt to free it from the control of the Islamic State. The battle raged for months, before Mosul was finally abandoned by ISIS in July. The AP conducted an investigation into civilian casualties during the assault, and obtained a list from the city morgue of 9,606 names killed during long battle. Basing their report on this list and several other sources including the UN and Amnesty International, the AP estimates the actual death toll to be somewhere between 9,000 and 11,000 civilians, as they also talked to gravediggers in the city who said they retrieved additional bodies. This overall figure does not include the many mass graves left behind by Islamic State forces, which are filled with thousands of civilians. The US-led Iraqi coalition has not offered an official death toll, but the Iraqi prime minister had previously said that only 1,260 civilians were killed. Obviously, the AP notes that their new investigation reveals a figure nearly ten times worse. Of those thousands of innocent lives, the AP estimates that around 3,200 were killed by coalition forces—not ISIS or other, unknown factors. At one point, the AP says that 303 civilians were killed at the hands of their “liberators” in just one week at the end of June. The AP reports that the Islamic State tried to use civilians as human shields, even shunting them from one front line to another in an attempt to dissuade the coalition from using heavy artillery fire. The attempt failed to dissuade an attack, as the coalition seems to have disregarded the presence of innocents and fired on those positions anyway.